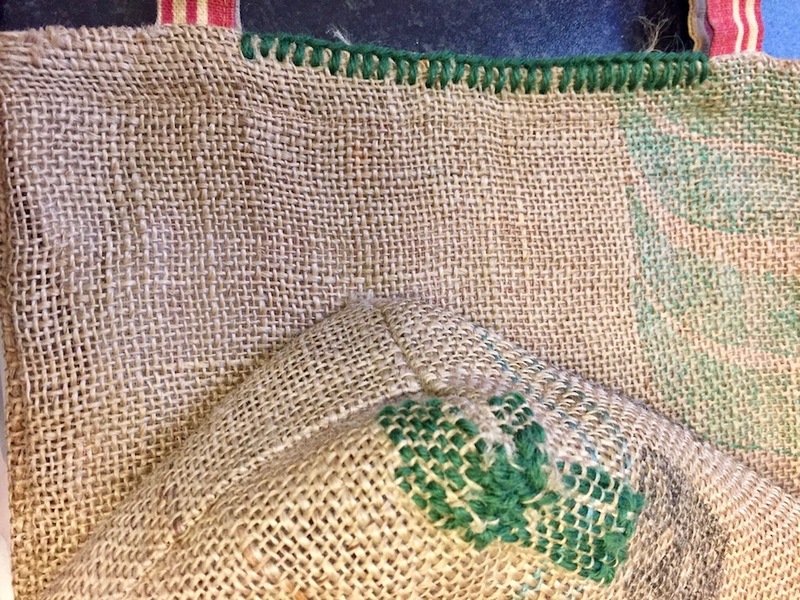 In 2016 I made two shopping bags and a garden cushion from some coffee sacks. 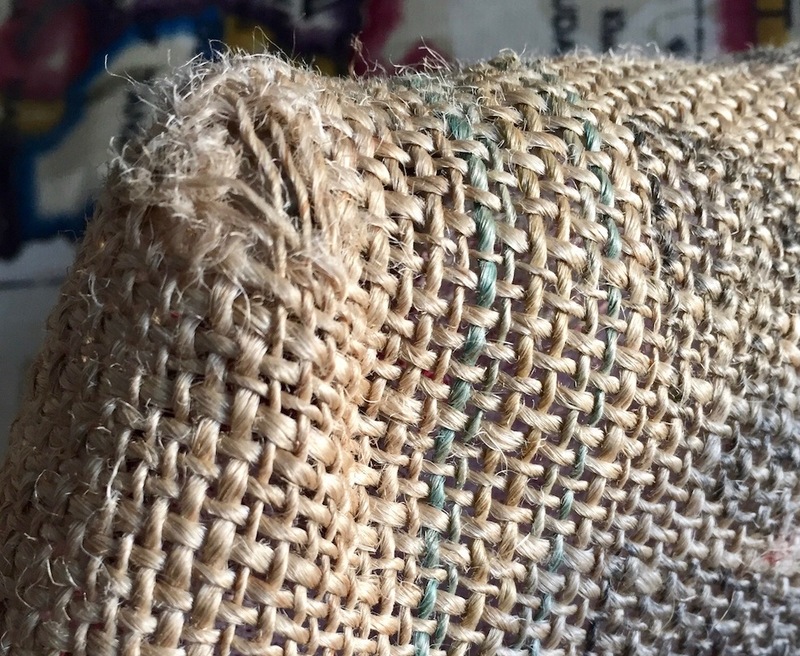 They were made from old jute sacks that coffee beans are imported in. 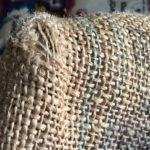 I had used the sacks originally to collect garden clippings but didn’t find them very useful as twigs got caught in the weave. The instructions for making these were written up and posted on the Angel Eden Blog. Because the original sacks had been used in the garden they had to be washed but this is not always necessary. I have been using the smaller of the bags almost daily since it was made and noticed that it was getting rather worn at the edges. I decided it was time to make a new bag and also to mend the original one. 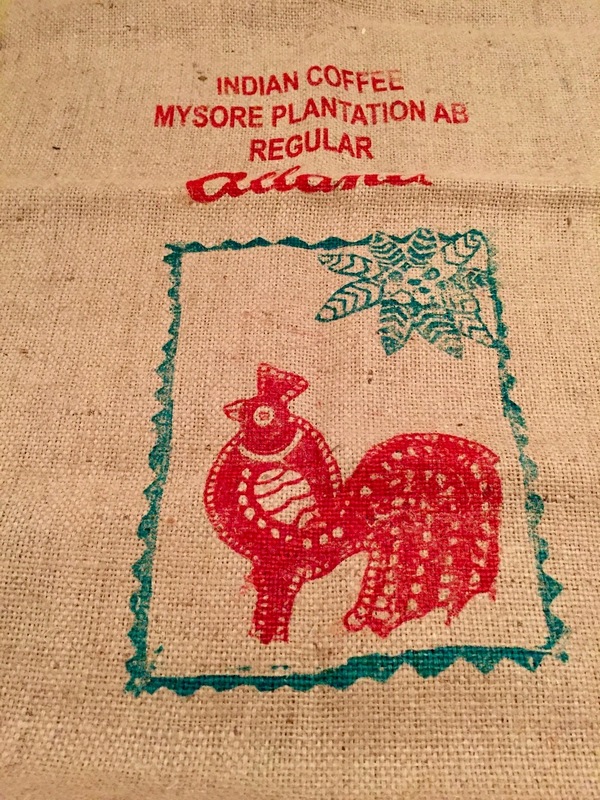 Luckily I have found a new source of coffee sacks. The sacks came from The Northern Tea Merchants in Chesterfield. 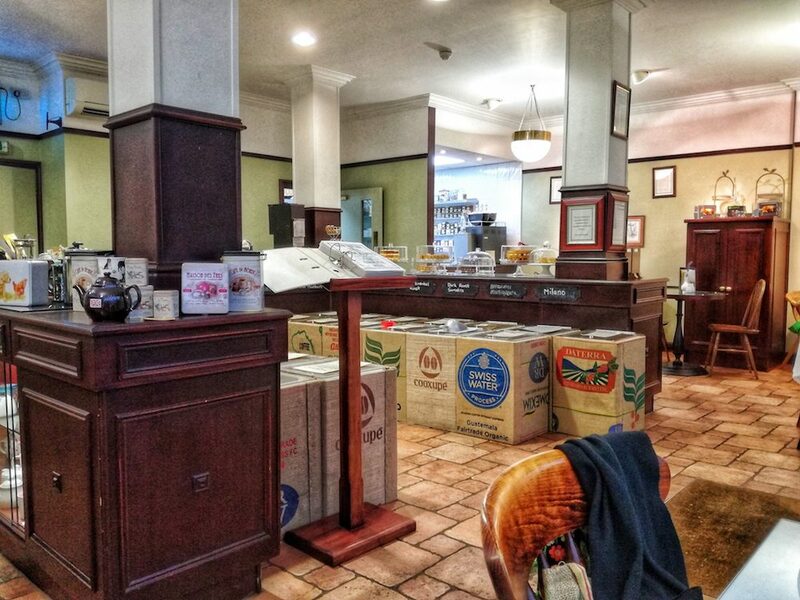 They import both teas and coffee and supply Harrods with forty different coffees. They also have a lovely Tea shop with fantastic cakes. 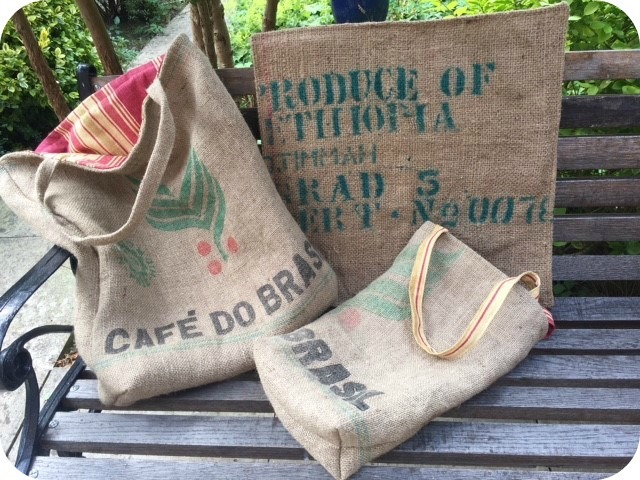 In the photograph the large coffee tins are covered in the colourful sacks. It is a really interesting place to visit and while there I had a pot of loose tea called Ruanda Tea. It was so good I bought some to bring home. 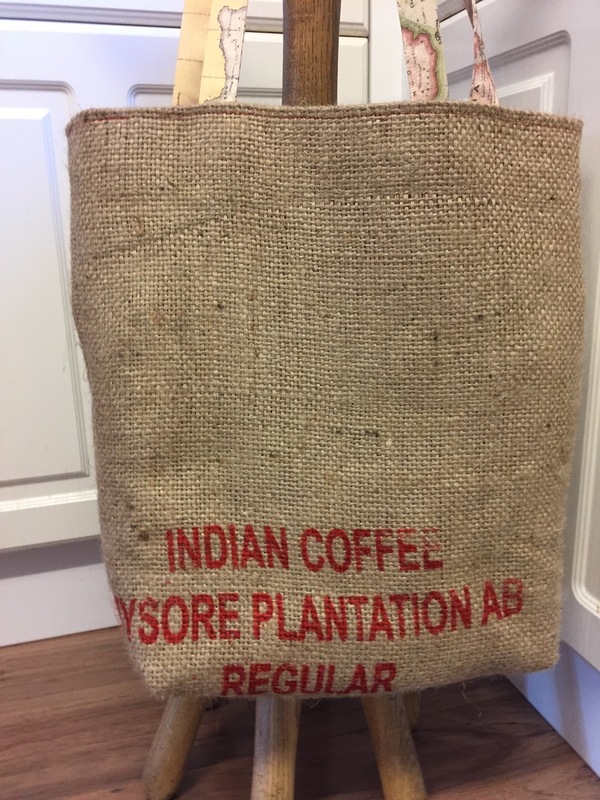 I also bought a few coffee sacks. 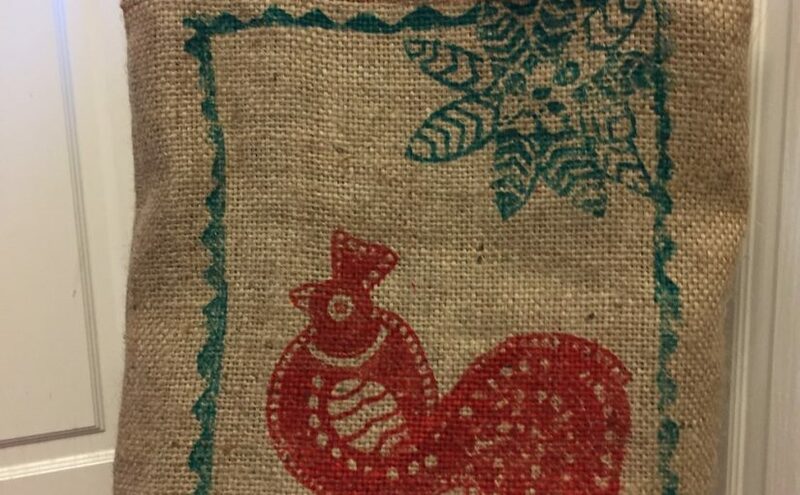 My new bag was made from one side of the sack shown below. I cut out two pieces each 44cms by 48cms. 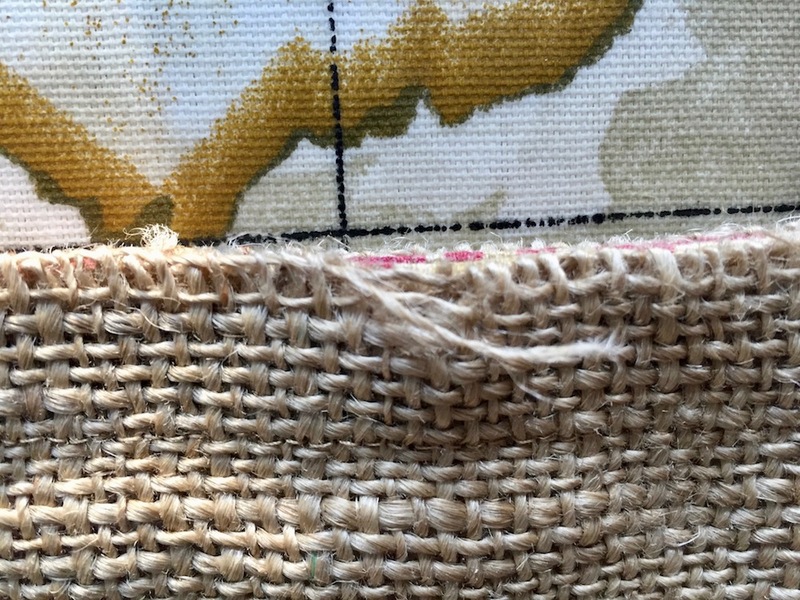 The handles were made from some leftover pieces of map fabric and the inside was lined with a red fabric. The instructions of how it was made can be found on the earlier link to the Angel Eden Blog. 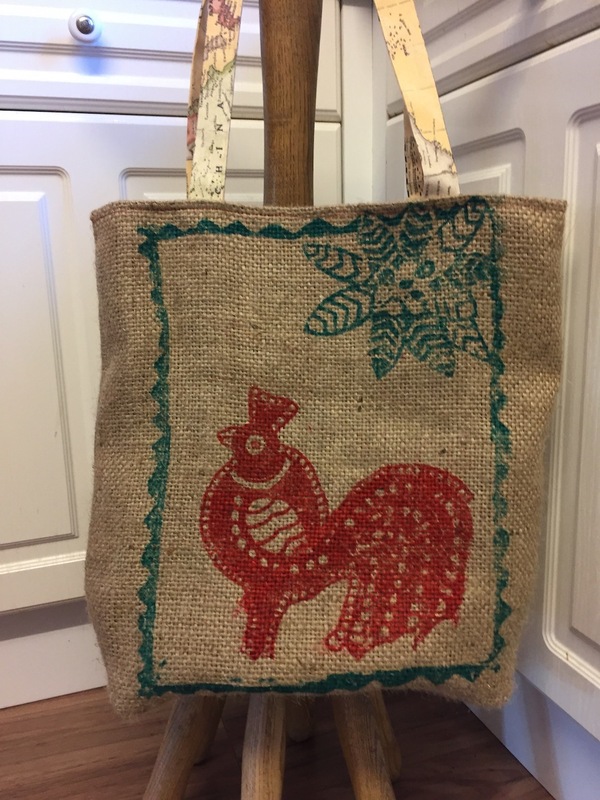 As to the previous bag that had been so well used it was worn into holes. 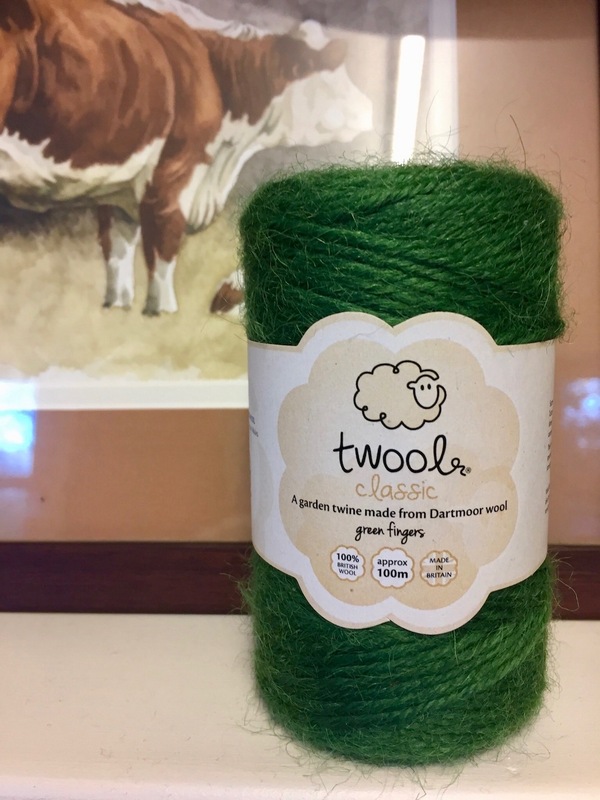 I darned the holes with some wool garden twine from Twools I love their products and they are very eco friendly. I darned the holes and blanket stitched the top edge. The next two photos shows the holes and the last one shows my mending which I rather like. Here is my new bag. 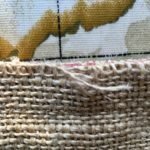 Posted on February 1, 2018 May 28, 2018 Author Anne ClarkCategories Making, Up-CyclingTags coffee sacks, darning, shopping bags, up-cycling.